Chris Atkins may be the most influential documentary maker currently working in Britain. His 2007 BAFTA-nominated film, “Taking Liberties,” examined the gradual erosion of civil liberties and the rise of a surveillance society under New Labour; it’s an informative and terrifying picture. His follow up, “Starsuckers,” is a damning indictment of the power of the media and the cult of celebrity; and it’s perhaps the most relevant and hard-hitting picture of the year. 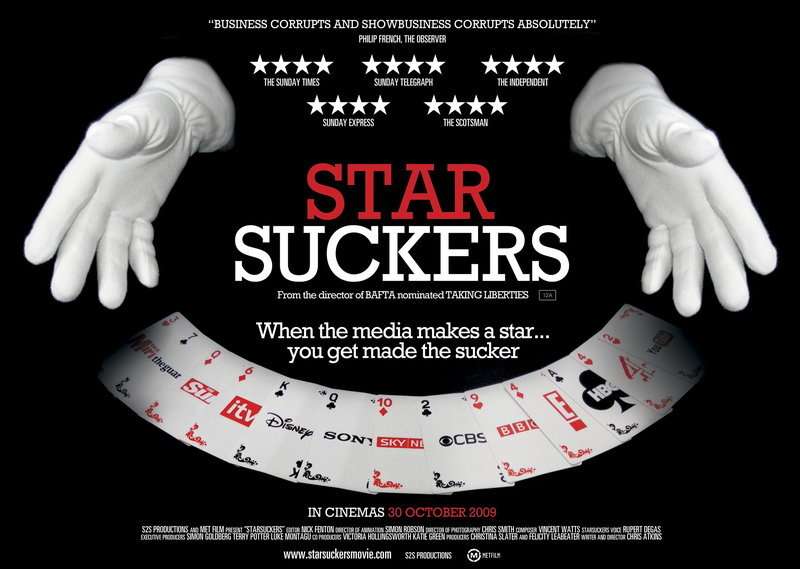 Presented as a series of lessons, Atkins exposes the machinations of deceit that the media utilises to effectively control and manipulate the public. It’s revelatory stuff. Combining undercover documentary footage, animation and talking heads, Atkins presents the stark realities of a world in which children spend twice as long in front of a screen than at school, and in which “news” (in the loosest sense of the word) is created — even fabricated — by deceptive editors or public-relations moguls. Atkins reveals some uncomfortable truisms about popular culture and our fame obsessed society; a faux reality TV casting sees parents nonchalantly sign away their children’s image rights without a second thought. Insight from psychologists and anthropologists indicate that fame is an addiction and that people thrive on the “oxygen of publicity,” which goes some way to explain the farcical lengths some people are willing to go to for a shot at fame. Atkins also touches on some fascinating inherent societal instincts that determine our behavior in relation to celebrity and our innate obsession with gossip and bad news. Once Atkins’s crosshairs eventually shift onto the media conglomerates that take advantage of this compulsion, there’s no holding back. The British press, particularly the red tops come under attack for the flagrant disregard for journalistic integrity by creating newsworthy situations or simply printing stories that are entirely false. Such practices are perfectly summed up when the frank comment “The media is not in the business of telling the truth; they’re in the business of being a business” is uttered. There are some shocking revelations about the lengths the media will go to for a good story, with many journalists and newspapers willing to flout the law. Meanwhile, P.R. agencies are depicted as media puppeteers, supplying more than half of all stories while keeping unsavory scoops out of the press (often at great expense). It’s all decidedly seedy and dishonest.